Social media - which side are you on? British workers are renowned for their love of a tea break, but a Shropshire solicitor has warned they are not a given right. John Mehtam is the employment law expert at Martin-Kaye Solicitors in Telford, and he said research had shown the average British worker enjoyed four cups of tea during every working day. “But contrary to what your staff may believe, as an employer, you’re not required to provide staff with hot drinks or the facilities to make them. “You might decide you want to provide milk, teabags and coffee – and given the emotional attachment many workers have to their beloved cuppa, it could be a sound business proposition! John said providing a kitchen, kettle and fridge could also create potential health and safety issues which an employer may choose not to take on. “Burns, electric shocks, or even food poisoning could all crop up, but if you have a sensible kitchen policy in place, that should go a long way to reducing the risks, so make sure it’s clearly set out in your staff handbook. “Tea breaks may seem like an unassuming element of the working day, but throughout history, they have become an iconic symbol of British working patterns, and you may decide that failing to provide the equipment or the materials to make a hot drink would be a step too far. Social media is changing the face of employment law – and employers need to stay one step ahead of the game. But what if an employee’s personal social media accounts start to conflict with your company’s business interests? Employment law expert, Lubna Laheria, from Martin-Kaye Solicitors in Telford, said: “Social media is a fairly controversial aspect of employment law, and as technology evolves, it’s a sector that’s constantly changing. Lubna’s warning is particularly topical given a recent court case involving the retailer, Game. One of their managers, who was responsible for around 100 stores, was guilty of posting a number of offensive tweets. He followed many of the company’s stores on Twitter from his personal account, mainly to monitor their activity, and 65 of the stores also followed him back, which meant they could see his personal tweets. A fellow manager raised concerns over the tweets he posted, which insulted several community groups, and following a company investigation, the manager responsible was dismissed for gross misconduct. “The Employment Appeal Tribunal decided that this was a reasonable dismissal, and they agreed that the tweets could not be considered private, particularly as the manager had followed 100 stores on Twitter ‘for a work purpose’,” said Lubna. “Employers should make sure they have a detailed policy in place which clearly explains to staff what is expected of them when it comes to social media postings, and emphasise that personal and work-related accounts should be kept separate. Experts from a Midlands law firm were so inundated with bookings from local employers for their latest seminar that they’re planning a repeat event. Lawyers from Martin-Kaye Solicitors, in Wolverhampton, organised the advice session at the Ramada Park Hall Hotel to help employers tackle staff sickness absence. And it seems their choice of topic really touched a nerve with employers from across the region. Speakers on the night were employment law specialists John Mehtam and Lubna Laheria, who shared their top ten tips on how to deal with the problem of staff taking a sneaky day off claiming to be ill.
Martin-Kaye Senior Partner, Graham Davies, said: “We were absolutely amazed at the number of employers who wanted to join us at the seminar, and it’s clear that staff sickness absence is an issue that affects companies of all shapes and sizes. 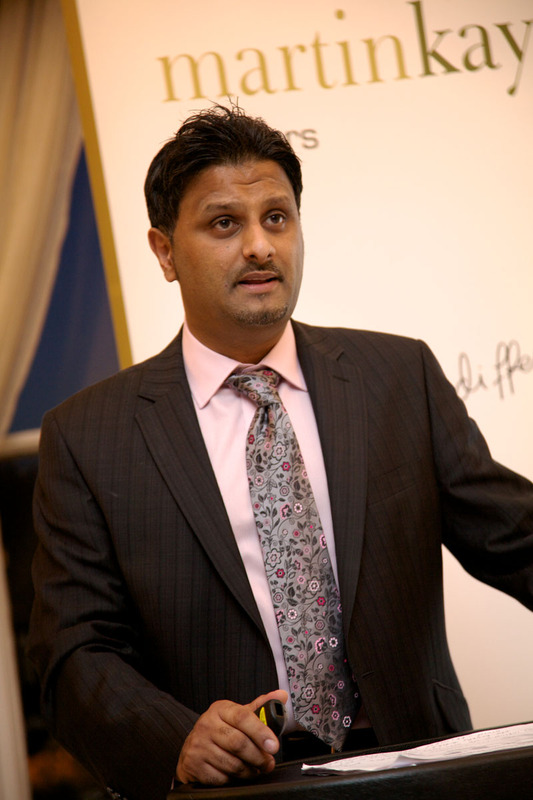 John Mehtam said the seminar was targeted specifically at business owners, leaders and human resources managers. John said employers must also handle the situation appropriately, knowing what their legal rights were, and take the action that best suited the individual employee’s circumstances. The presentation was the latest in a series of HELP seminars run by Martin-Kaye which are designed to help employers learn how to deal with common situations they may face every day in their business. HELP stands for HR and Employment Law in Practice and the events offer businesses a unique opportunity to hear from the experts when it comes to tackling topical issues. Victims of professional negligence now have direct access to expert support thanks to a new website created by a Shropshire law firm. The team at Martin-Kaye Solicitors, in Euston Way, Telford, has launched www.mknegligence.co.uk to deal specifically with cases where clients have lost out financially after receiving bad advice. Andrew Oranjuik, the firm’s Head of Dispute Resolution, said: “We have created the website as a direct result of a surge in negligence claims against professional advisers, and the service is already attracting a lot of attention. 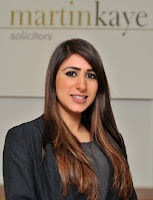 Martin-Kaye are members of the Professional Negligence Lawyers Association, and the law firm has been recognised by the Legal 500 as being particularly active in cases of this type. Andrew has personally handled many claims against professionals including one case where the claimed losses were around £10 million. His team is also made up of Mohammed Ahsan and Jason Round. The professional negligence claims service can be used to bring claims against all kinds of professionals including: solicitors, barristers, accountants, financial advisers, brokers, and surveyors. “Most professionals are required by law to have indemnity insurance in place, which means if your claim is successful, the adviser’s insurer should pay the compensation,” said Andrew. “We recognise too that legal action can be expensive, so we have many different options when it comes to fees, such as ‘no win, no fee’ in suitable cases, legal expenses insurance, fixed fees, or ongoing payments as the case progresses.